Jazz pianist and composer Alex Brown is quickly establishing both a national and international reputation. In 2007, Alex joined the group of ten-time Grammy-Award-winner Paquito D’Rivera. Alex has also performed with musicians including Jane Bunnett, Jon Faddis, Slide Hampton, the New York Voices, Terell Stafford, Gary Thomas, Dave Valentin, Miguel Zenon, and Wynton Marsalis and the Lincoln Center Jazz Orchestra. 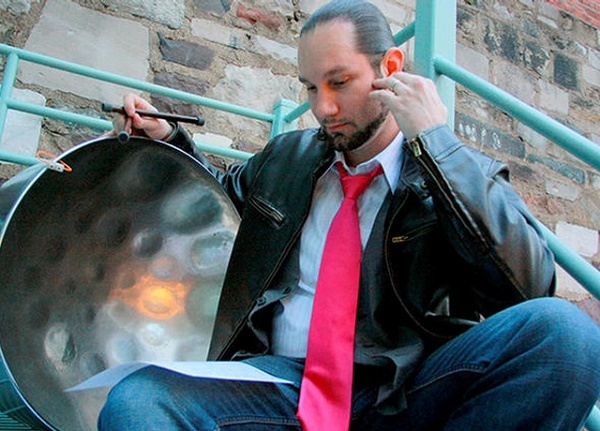 Victor Provost is widely regarded as one of the world’s leading voices on the steel pan. Through appearances at concert halls and clubs worldwide, he has developed a soloist’s voice and style to be reckoned with. With a strong foundation in Bebop, a contemporary sensibility, and deep roots in Caribbean music, he works in countless genres and musical styles. He collaborates with Wynton Marsalis, Pacquito D’Rivera, Hugh Masakela, Nicholas Payton, Terell Stafford, and Wycliffe Gordon. Victor is on the George Mason University faculty and has taught classes at Berklee College of Music, and Miami University, among others. He is perennially awarded “Jazz Percussionist of the Year” by Washington City Paper.